Amazing location! West of Denman in a solid concrete building, great value here. 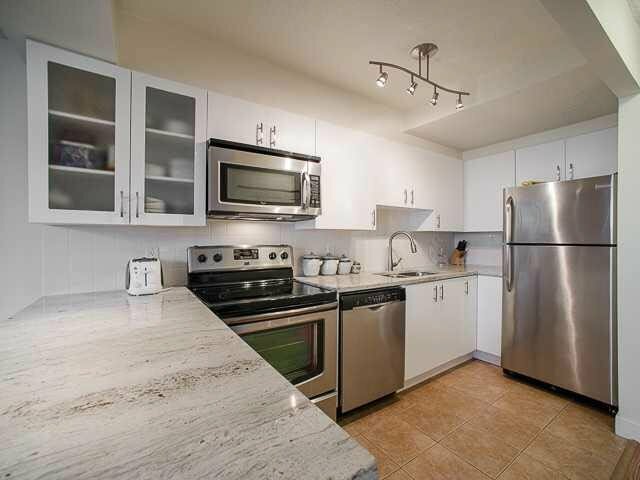 Newly renovated one bedroom condo steps away from English bay, Stanley park and the seawall. Renovations include an open concept kitchen with granite countertops, stainless steel appliances, new floors,& new bathroom. Large living & dining space with an entertainment sized patio (150 sqft! ), perfect for bbq's and enjoying the southern sunshine. Steps from Denman & Davie, & the best that the West End has to offer. Building is well maintained (new elevator, suite windows, paid for by the seller) are a few of the upgrades. Suite comes with one parking and it's own storage room. Pets&rentals welcome.